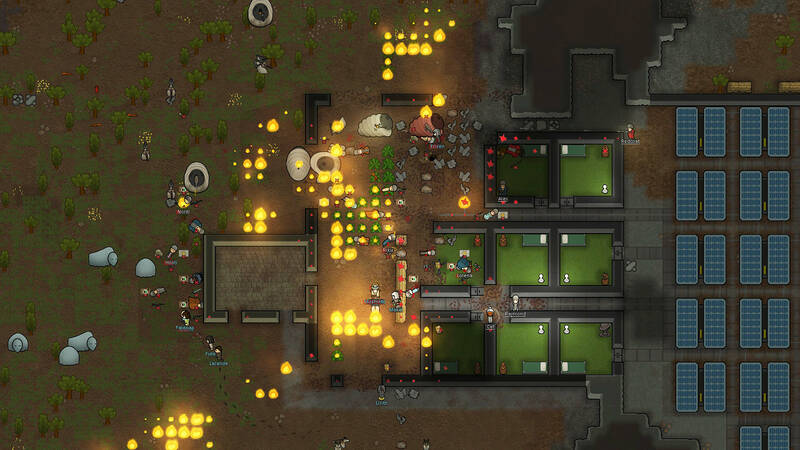 As is the case with most survival games, maintaining a steady supply of food is vital to building a lasting colony in Ludeon Studios' RimWorld. 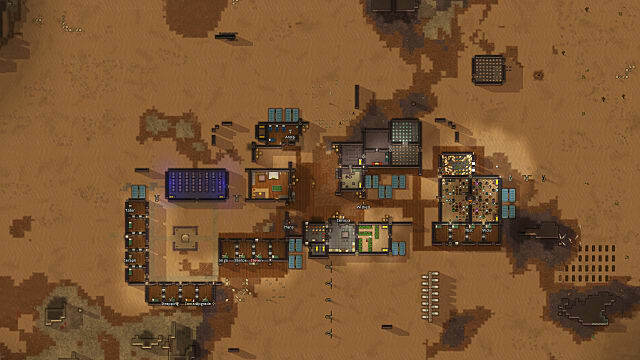 Though you can get by on scavenging initially, you will need to learn how to build and maintain a farm if your colony is ever going to expand and bring in new mouths to feed. Now sit back, relax, and let's get started. 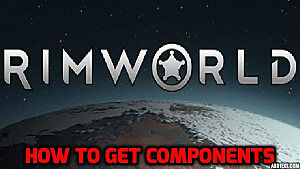 What Do I Need to Plant Crops in RimWorld? Not much, technically. The base game gives you all the seeds you need right from the start -- you only need some sort of dirt to plant them in. 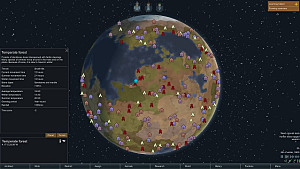 Simply go to the Zone/Area tab, select Growing Area, and highlight the dirt that you would like to be turned into soil. 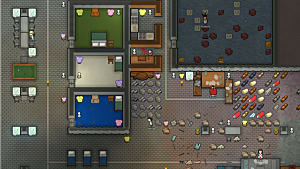 You can then have your colonists plant all manner of seeds there. Planting them isn't really the difficult part though. Growing them is. 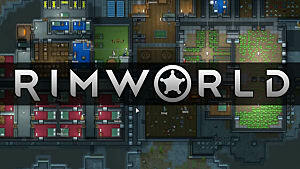 What Goes into Growing a Plant in RimWorld? The latter three things affect a plant's growth rate -- a percentage amount that you can see in each plant's info box. Your goal should be to get the growth rate up to at least 100% (standard growth), but you'll usually be fine if you can get it above 85%. Under ideal conditions, however, the growth rate can actually be raised even beyond 100%, allowing the plant to grow and produce resources much faster than it normally would under basic conditions. Conversely, allowing the growth rate to fall too low will result in the plant growing too slowly and dying of age before it can even be harvested for food. There's a decent amount of math going on behind the scenes regarding how much each of these factors affect growth rates, but for now just worry about understanding the basics. We'll go through the four factors that determine how a plant grows. As you can probably guess, different plants have different properties that affect how they grow. They die of age at different times, reach maturity at different points, and react to soil quality in different degrees (more on that below). We'll go into greater detail about each plant at the end of the guide, but for now just understand that each plant grows differently. Sand: Don't even try growing here. Please, just don't. Gravel and Marsh: These aren't ideal for farming, but they'll work if you don't have other options. Soil and Lichen-Covered Dirt: Consider this the baseline in terms of soil quality. Crops planted on this type of soil can grow at that 100% growth rate that we are shooting for -- assuming all their other needs are met as well. Hydroponics Basins: These are artificial troughs that are 4x1 tiles in size. They are normally used to allow for indoor farming (more on that later) and can allow some crops to grow up to twice as fast as if they were planted in normal soil. The hydroponics basins come with some downsides, however, in that they consume a considerable amount of electricity, are costly to build, and cannot be used to grow certain crops. "Build a colony in the desert," they said. "There'll be lots farming space," they said. Just like in real life, plants will also need some form of light to grow. They will need at least 50% light to grow, which will be the case for most of the day. More than 50% light, however, increases their growth rate even further -- so more light is always better. You generally won't have to worry about lighting outdoors thanks to the sun granting all the light your crops will need. But if you plan on growing crops indoors -- again, more on that later -- you'll have to create your own light. Temperature -- listed in the bottom right corner of the screen -- can also affect crop growth, but perhaps to a lesser extent than the previous two factors. As long as the temperature is between 10 and 42 degrees C (50 - 107.6 F), your plants will grow as normal. Their growth rates will drop significantly, however, for each degree above or below that range and will cease to grow entirely if the temperature falls below 1 C (33.8 F) or above 57 C (134.6 F). 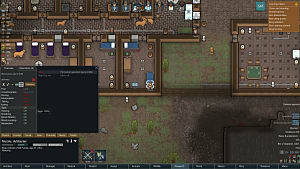 As the seasons change in RimWorld, so too will the temperature. You'll have to keep an eye on it to make sure you're not trying to plant your crops while it's too cold or hot outside. Luckily, a plant's info box will remind you if the temperature is too extreme for growth. So now that we've covered what makes plants grow, let's discuss the farms themselves. What's the Difference Between Indoor and Outdoor Farming in RimWorld? I'm glad you asked! Like the names imply, you can actually create both outdoor farms and indoor farms (sometimes called hydroponic farms), and both types have different pros, cons, and methods. We'll talk about how to build and maintain both farms below, but first let's discuss the main pros and cons of each. Outdoor farms are cheaper to grow and maintain than indoor ones. Much cheaper. Plants grow slower outside than they would in indoor/hydroponic farms. Outdoor plants are generally more vulnerable. Seasons can change, solar eclipses can occur, enemies can attack, etc. Plants grown in a hydroponics basin grow much faster than their outdoor counterparts. Better protected from wildfires and such. Can be temperature controlled so that growing can occur in seasons or areas in which it normally will not. Hydroponic farms are much more expensive. Corn, devilstrand mushrooms, and haygrass will not grow in a hydroponic basin. The devices necessary for indoor farming require electricity, and thus are susceptible to brownouts. Though most RimWorld players seem to agree that the hydroponic farms are better (once you can afford them), it is actually best to have a mixture of both indoor and outdoor farming. 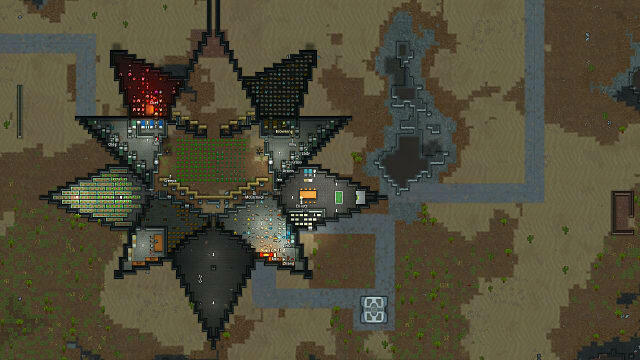 This way, your colony's entire food supply cannot be decimated by a single event, such as one wildfire or a single brownout. 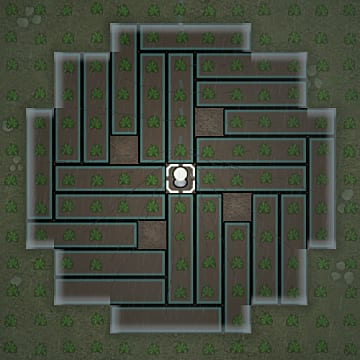 How Do I Build an Outdoor Farm in RimWorld? It's quite easy. Like I mentioned above, simply go to the Zone/Area tab, select Growing Area, and highlight the dirt that you would like to be turned into soil. Once that's done, you can have your colonists plant seeds there and (assuming all the conditions we talked about above are met) the plants will begin growing. In terms of which seeds to plant, that really depends on your colony's current situation. 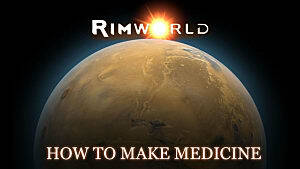 The last section of this guide will tell you about the different plants in RimWorld and which grow best where. 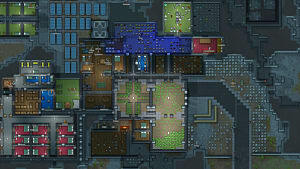 Now How Do I Build an Indoor Farm in RimWorld? This is a bit more tricky. Like we talked about before, the things that determine how a plant grows are the type of plant, the soil, the light, and the temperature. But if you're going to be making a hydroponics farm indoors, the plants aren't going to be getting any sunlight. Luckily, we can build sun lamps for that. Sun lamps are a device that generate 100% light 100% of the time in the 100 tiles surrounding them (example image below). Sounds pretty great, right? It would be if they didn't take so much electricity. C'est la vie. But once you've got the money and electricity problem figured out, building a hydroponics farm will yield tremendous benefits. So let's go through this step by step. Build a room 13x13 tiles in size (with a door, of course). It can be bigger than this, there's just no reason for it to be. I would also recommend using a material other than wood to prevent the whole place from burning down. Place a sun lamp in the exact center of that room. Don't forget that it needs to be connected to a generator of some sort. 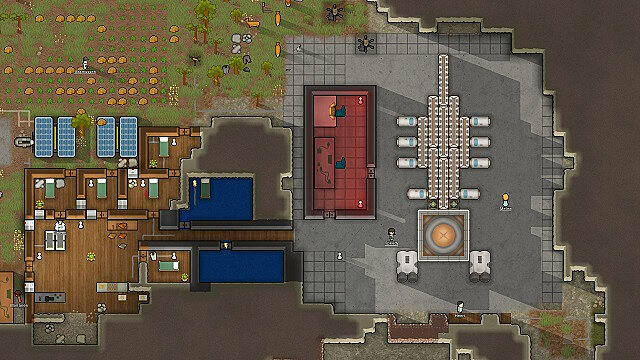 Arrange the hydroponics basins around the sun lamp in the arrangement shown below (image courtesy of RimWorld Wiki). This will put as many basins as possible within the sun lamp's influence. (Optional) Place a heater or cooler in the corner of the room to raise/lower the temperature to suitable growing conditions. This is only necessary if it is too hot or cold for your plants to grow normally. (Optional) If you can manage it, it's also a good idea to hook up your sun lamp and hydroponics basins to a secondary power source. This way, even if one is destroyed, malfunctions, etc., your plants will still survive thanks to that secondary power supply. 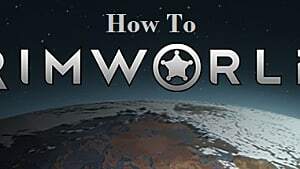 Which Plants Should I Be Farming in RimWorld? That all depends on your colony's circumstances. There's no clear-cut best plant, but some certainly have advantages over others. Let's go through them one by one to see what each has to offer. Corn Plant: Corn takes a relatively longer time to be harvestable, but once it is it yields a lot of food. It's recommended if you have plenty of time to let it grow, but it cannot be planted in a hydroponics basin. All in all though, it's a good starter crop. Cotton Plant: This will give you textiles for basic clothes and such at a reasonable rate. It's no devilstrand mushroom, but hey, it works. Devilstrand Mushroom: Ugh, these take FOREVER to harvest. They can't even be planted in hydroponics basins. They make good cloth, though. Haygrass: Use this for feeding animals, if you have them. It grows at kind of an average rate but yields a lot of units. It cannot be grown in a hydroponics basin. Healroot: This can be turned into herbal medicine. It grows relatively quickly, but yields very little actual crop. Though it is useful, you need to be careful with growing healroot. Wildlife loves eating healroot. Hop Plant: Hops grows pretty quickly. They can't be eaten -- but everybody loves beer, right? Potato Plant: Potatoes aren't particularly great except for one quality: they are barely affected by soil quality. This means you can actually grow potatoes reasonably well even in gravel or marsh, but they're basically a waste of space in rich soil or hydroponic basins. Rice Plant: Rice is very sensitive to the soil you're using, so once you've got a hydroponics farm going it will essentially be your go-to food source. Don't waste your time planting it in poor soil though. Smokeleaf Plant: Psychoid's mellower cousin, smokeleaf grows a teansy bit faster and yields a teansy bit more than psychoids, but won't earn you quite as much money on the market. Strawberry Plant: Though to a lesser extent than potatoes, strawberries also are fairly resistant to soil change, making them not terrible for growing in bad soil. Ultimately there is no supreme master plant, but I would recommend starting off with corn for colonists' food (assuming you have basic soil) and then shifting to rice once you get a hydroponics farm going.